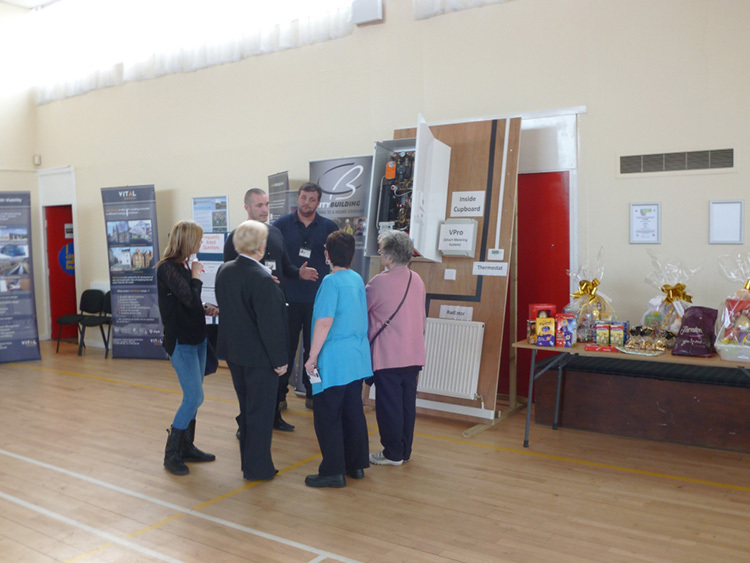 Vital Energi and npower have teamed up to sponsor a Community Heating Project Open Event for residents of the West Whitlawburn Estate in Glasgow. Local residents got the chance to learn more about their community heating system while children aged between 4 and 12 took part in a “Common Wealth Games circuit” series of events which included hurdles, javelin, shot putt and long jump. 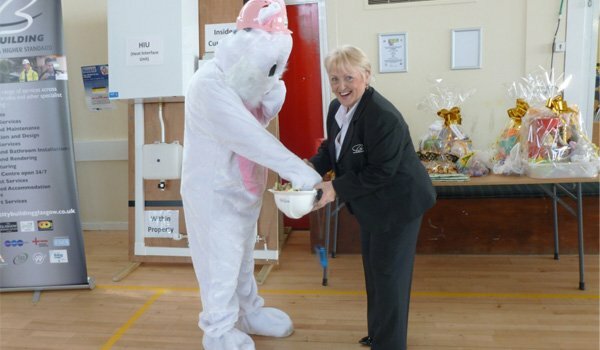 There was also a “Design an Easter Egg” competition which saw local children come up with some fantastic designs. As a socially responsible company we look to engage and educate the community so that they fully understand their new community heating system. This event is one of many such events Vital Energi will be taking part in as we continue to communicate with the residents of the 540 properties on the estate. The team was also available to answer any questions residents had. The project sees a new energy system installed including a biomass boiler which will provide heat to the 540 high and low rise properties. Each property will be connected to the heating network via a Hydraulic Interface Unit and their inefficient electric storage heater replaced with new radiators. The new heating system will be fully controllable and promises to save residents approximately 20% on their heating and hot water bills. The West Whitlawburn energy project has been funded from several different streams including the Energy Company Obligation (ECO) which saw npower contribute towards the cost of the Biomass Energy system. Ian Whitelock, Joint Managing Director of Vital Energi said, “We think that residents should have as much information about their new energy system as possible. The more informed they are, the better the decisions they can make about their energy usage and events like this are a great way to get, and keep, people engaged. In addition to other events a raffle was organised which raised money for the Phil Welsh Welfare Fund. The fund is named after Phil Welsh, founder member of the West Whitlawburn Housing Cooperative who was also its first ever chairperson. The charity helps to alleviate poverty and hardship locally and provides food parcels to those in need.